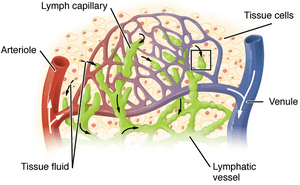 Lymph ends up back in the blood system. In mammals under normal conditions most of the lymph is returned to the blood stream through lymph-vein communications at the base of the neck. 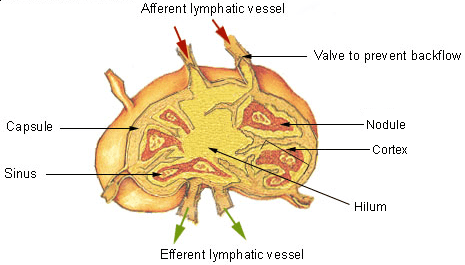 Lymphatic system Facts for Kids. Kiddle Encyclopedia.